This re-hydrating toner and scalp energizer stimulates the blood supply to the scalp to encourage a healthy scalp environment and hair growth. The mildly astringent formula absorbs excess oil and protects against bacterial overgrowth. Water based, fragrance free formula. Use cotton buds to apply to difficult to reach sensitive areas of the scalp. Aqua (water), Alcohol Denat., Hamamelis Virginiana (Witch Hazel) Water, Glycerin, Polysorbate 20, Sodium Salicylate, Benzalkonium Chloride, Piroctone Olamine, Menthol, Alcohol. Telogen effluvium is a form of diffuse hair loss that occurs when the anagen (growth) phase of the hair growth cycle is cut-short by an internal disturbance. 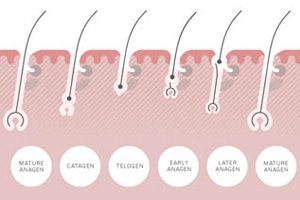 This causes many more hairs than usual to move from anagen into the telogen (shedding) phase all at once, resulting in excessive daily hair fall. Telogen effluvium can be either acute or chronic depending on the cause and the severity of the disturbance. 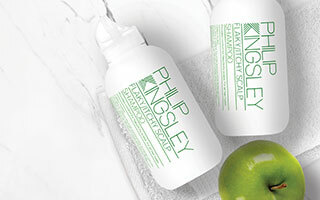 Due to the nature of the hair growth cycle, diffuse hair loss usually takes place 6 – 12 weeks after the event that triggered it, so you may not always connect the two. If you notice excessive hair shedding, look back a couple of month for possible causes. 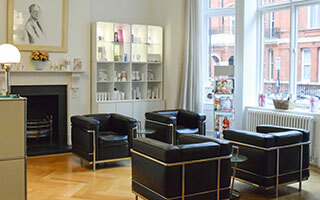 On average, it is ok to lose up to 100 hairs a day provided they are growing back. However, telogen effluvium can result in as many as 300 hairs being shed in a 24 hour period. You will probably notice more hairs coming out when you brush and style, in your shower drain and perhaps on your pillow and clothes.